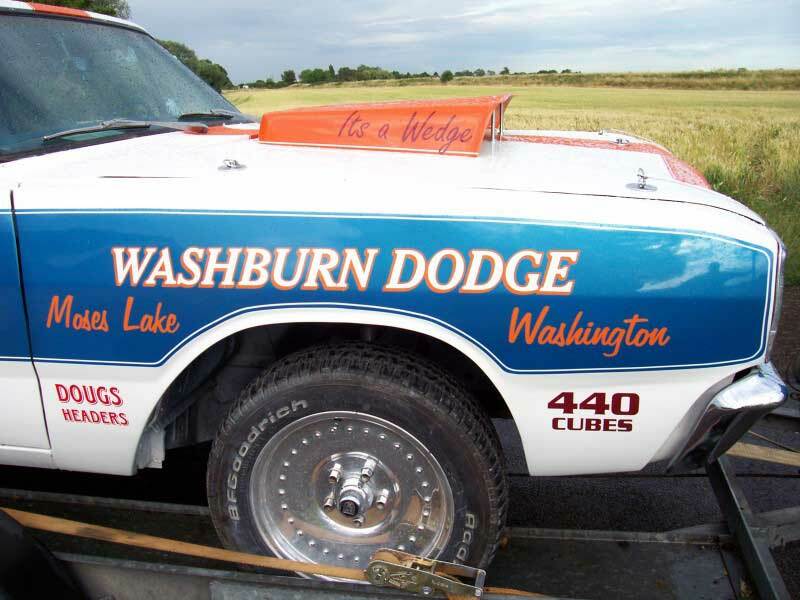 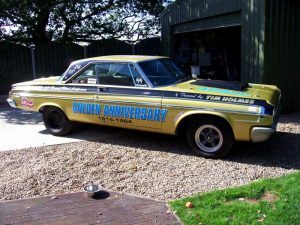 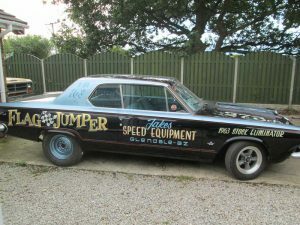 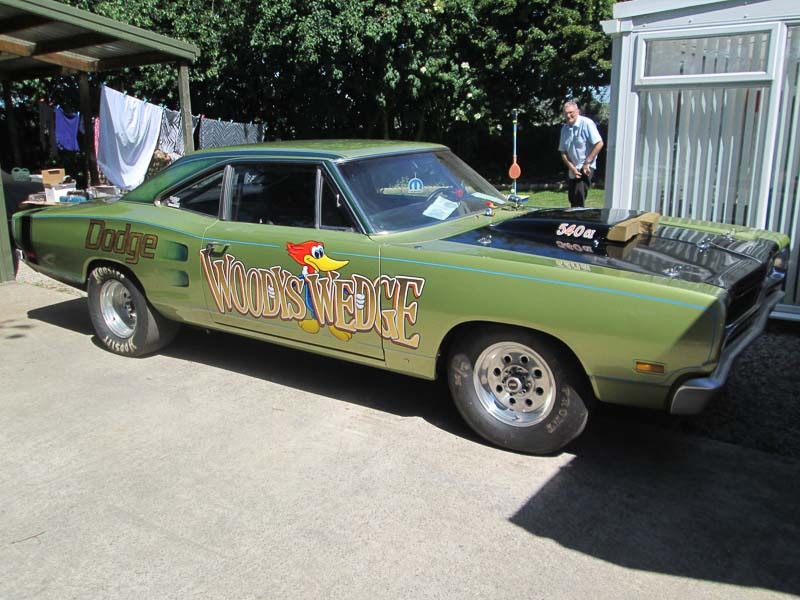 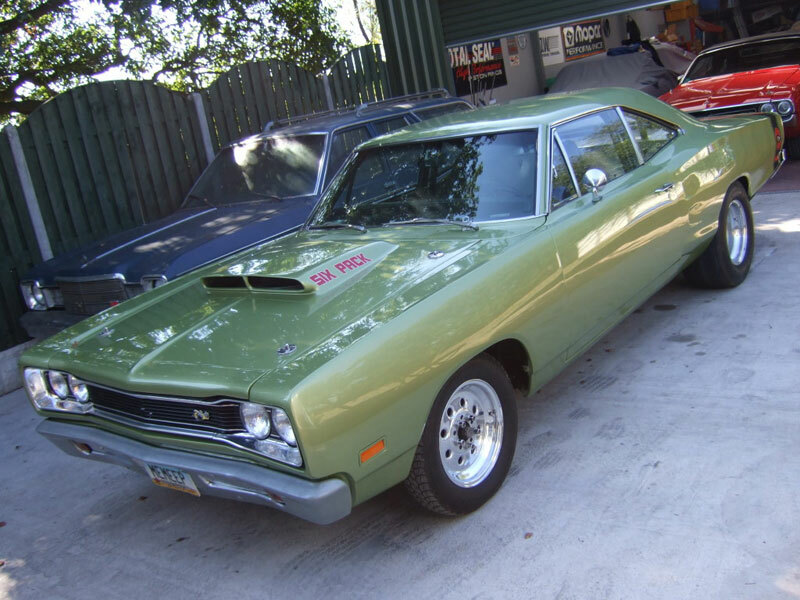 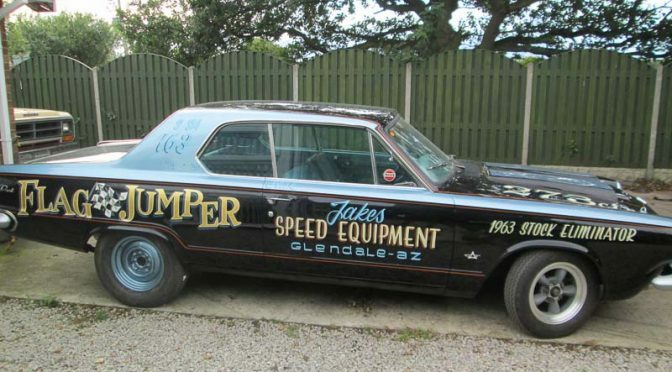 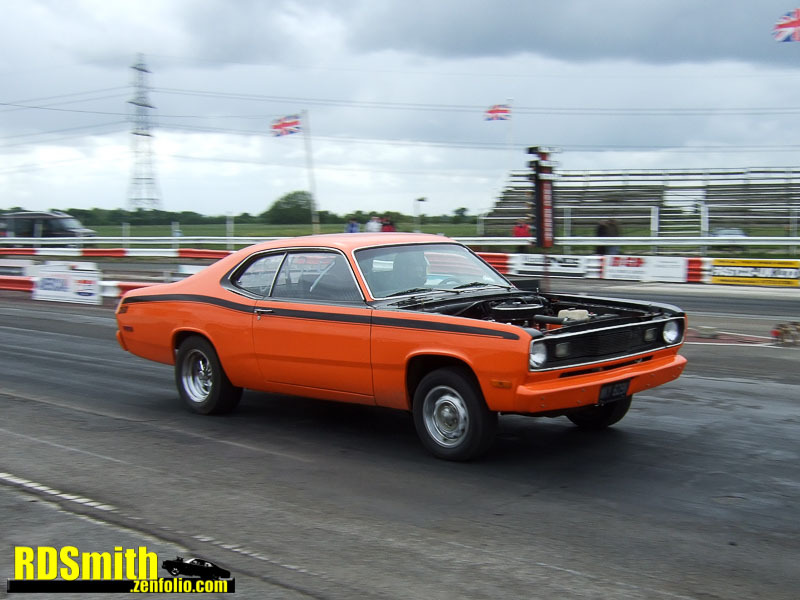 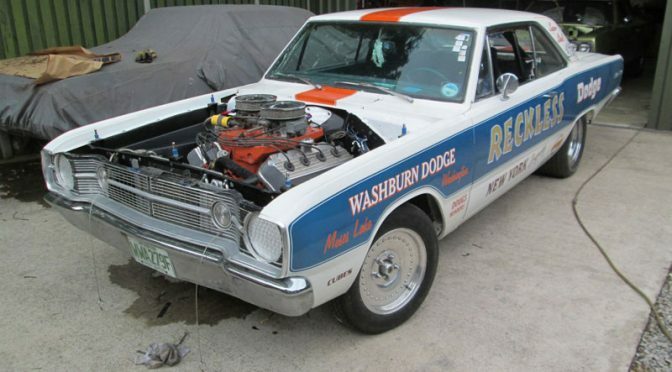 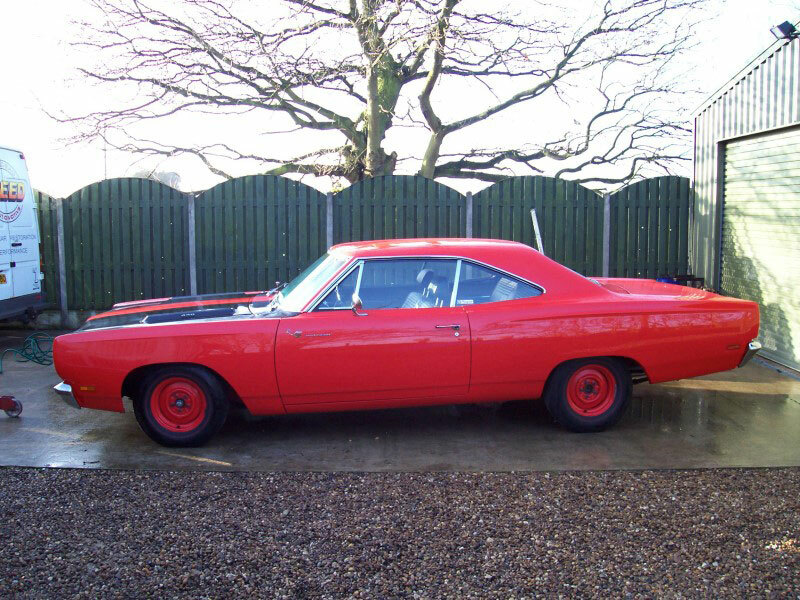 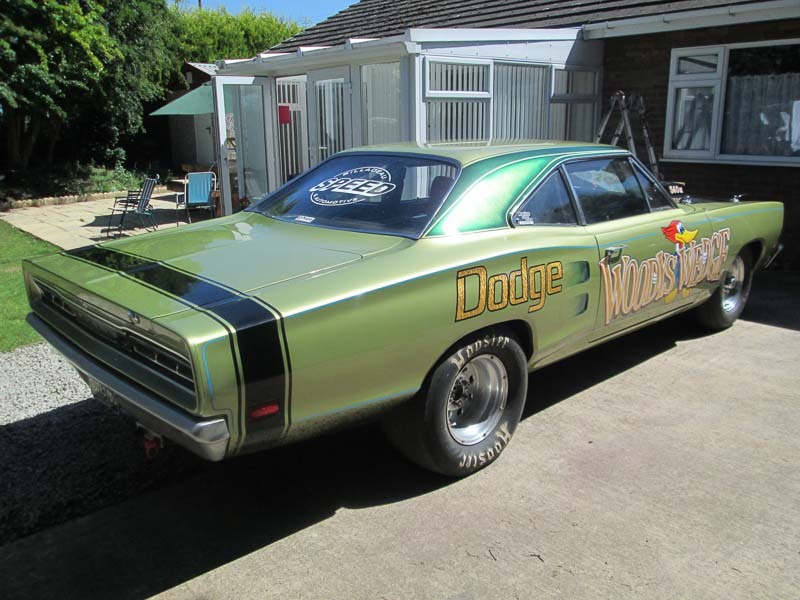 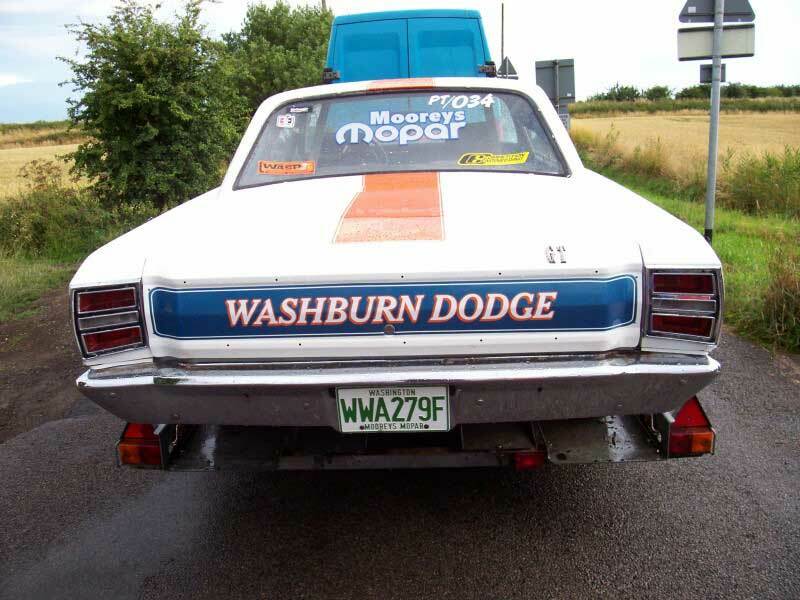 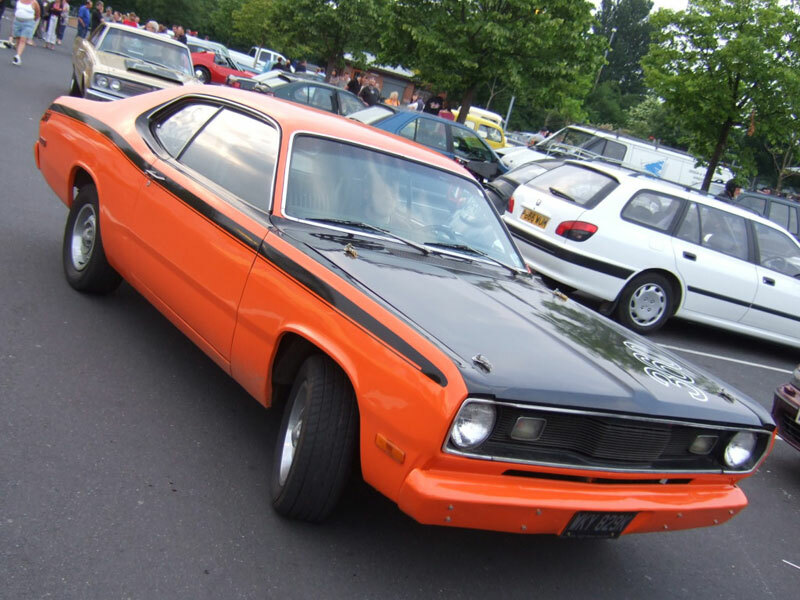 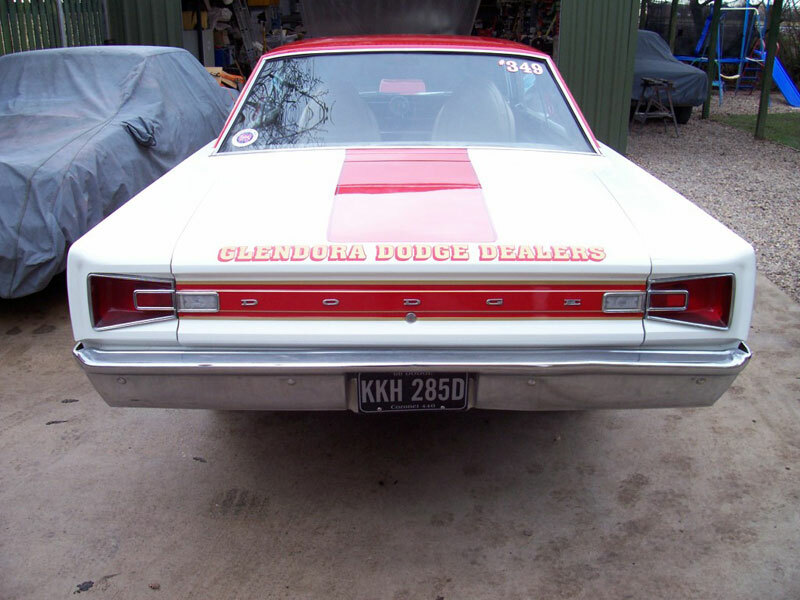 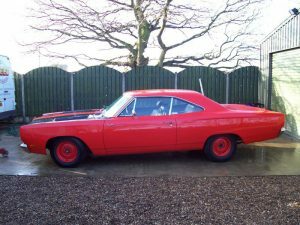 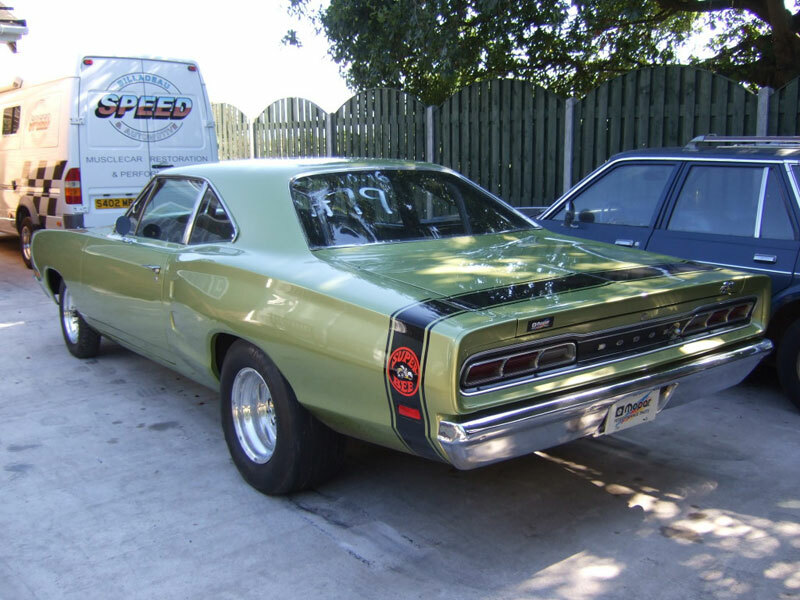 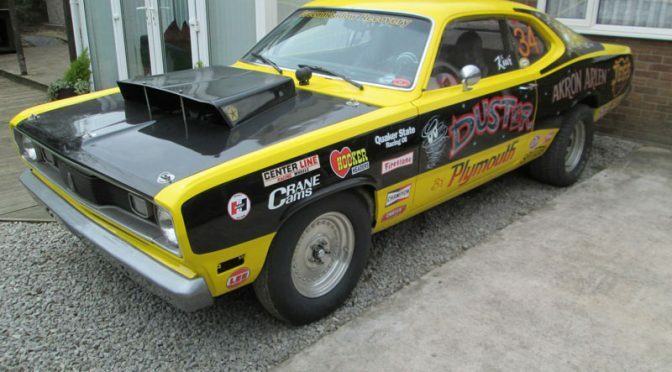 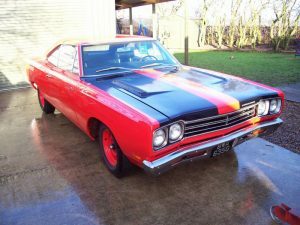 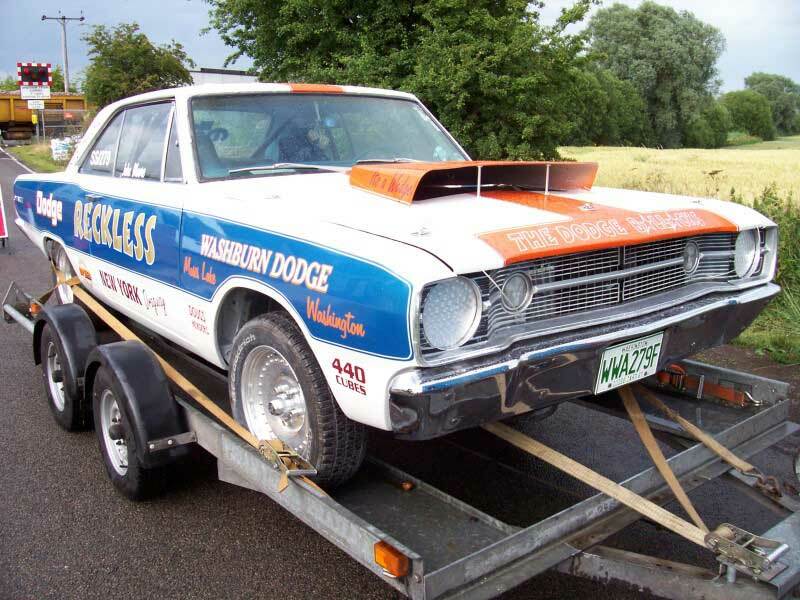 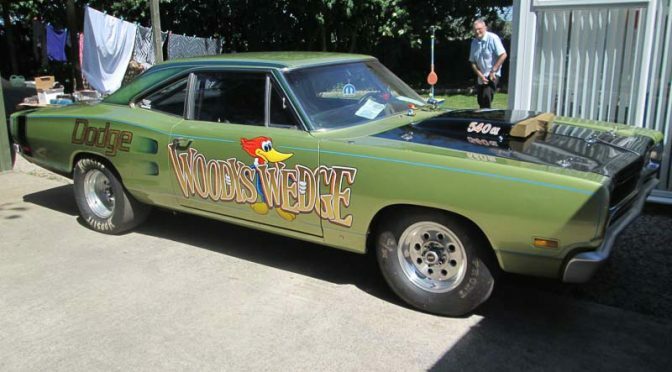 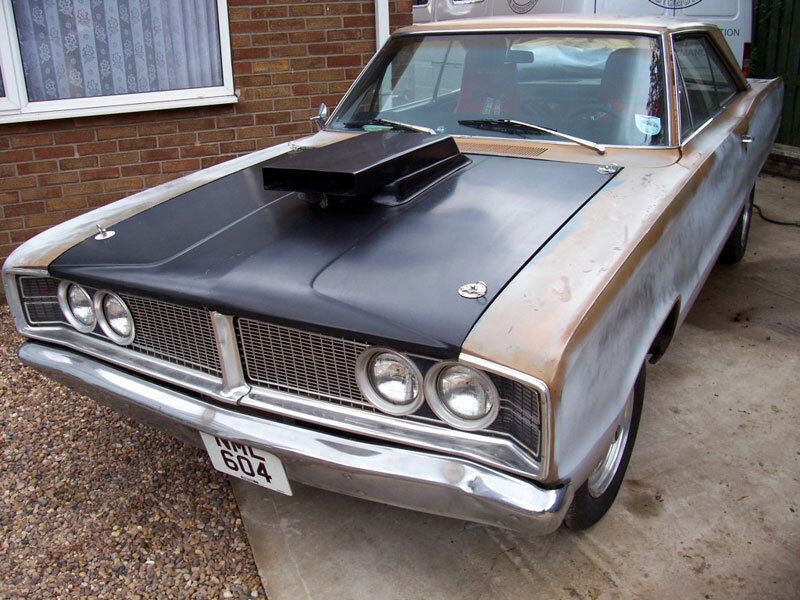 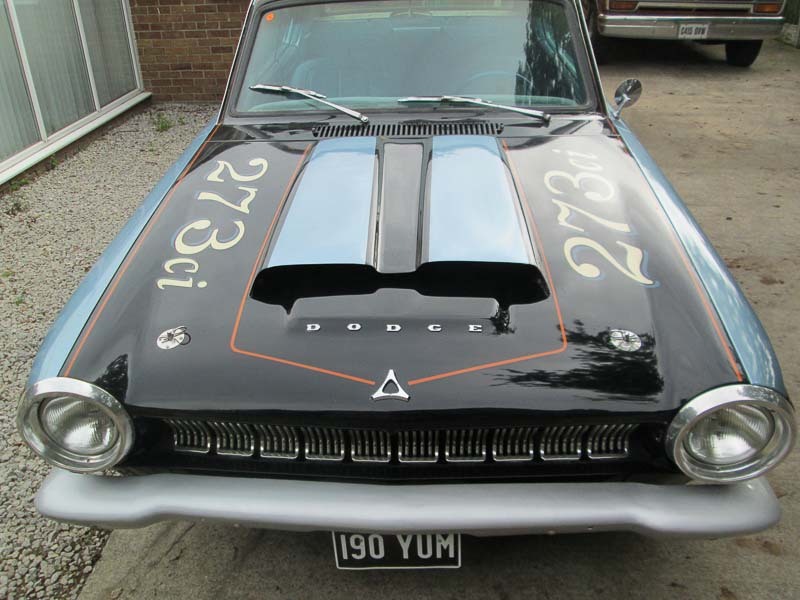 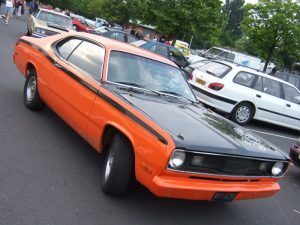 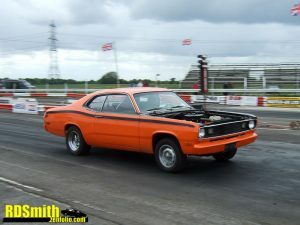 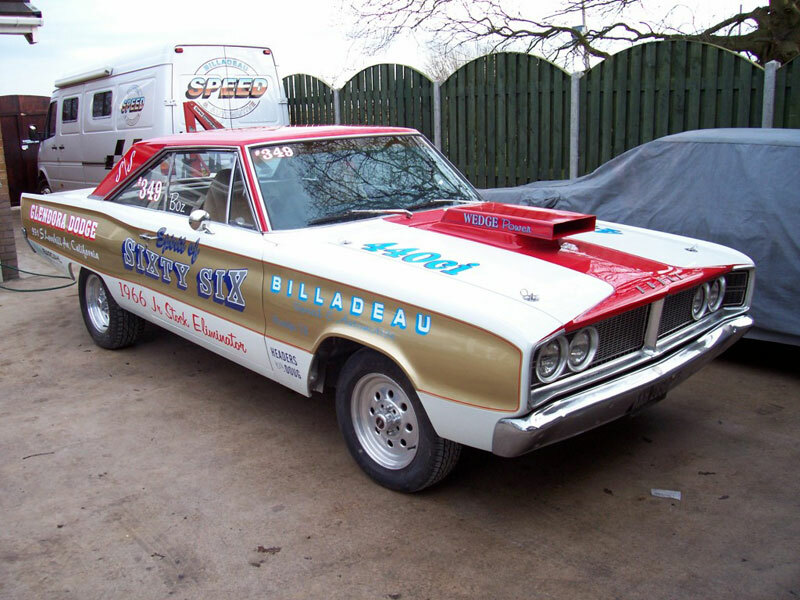 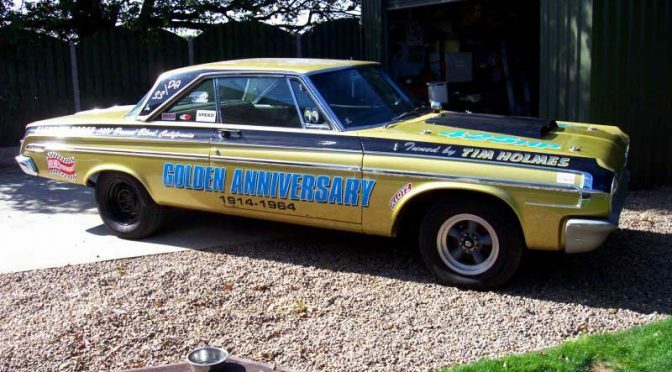 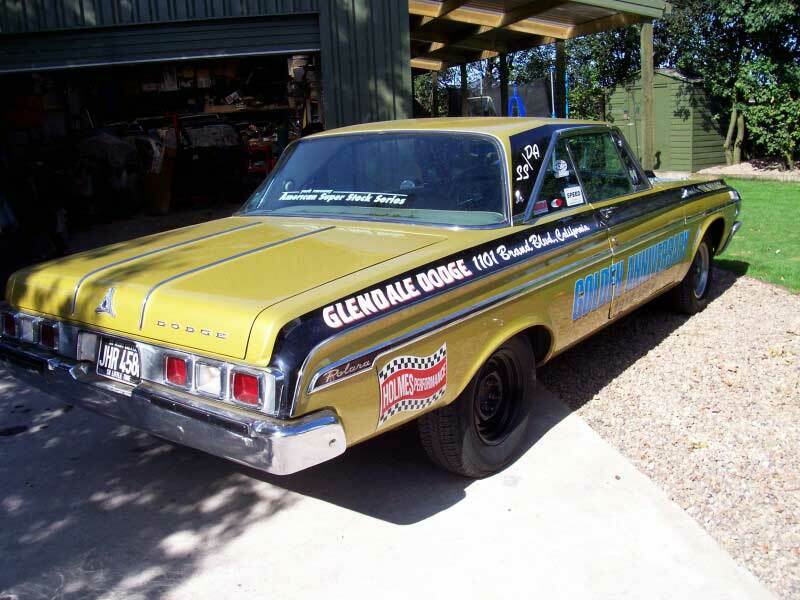 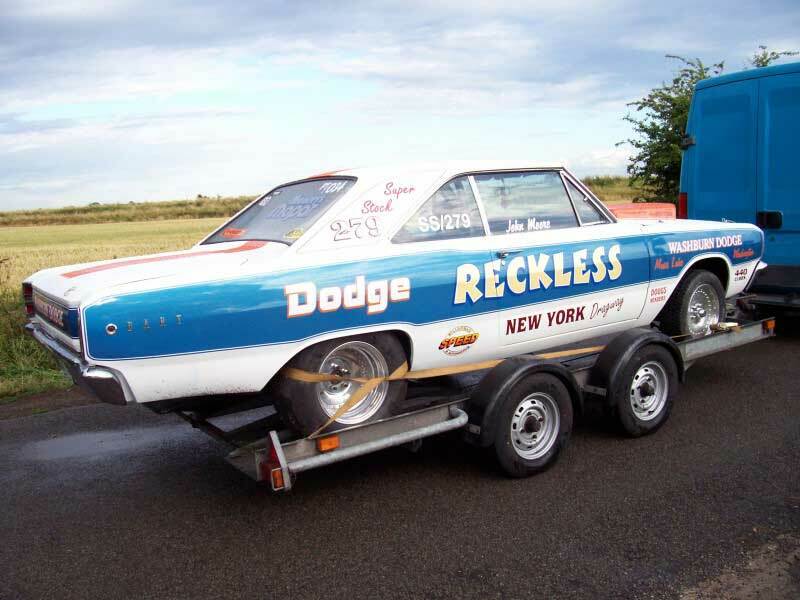 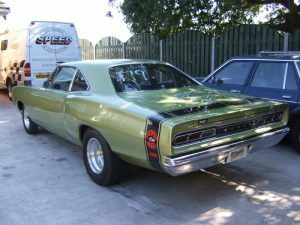 Having sold his ’68 Charger, Bri acquired this Coronet from Duncan Watts, who imported it into the country. 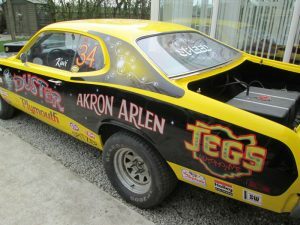 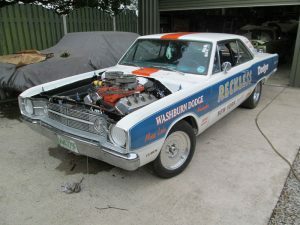 The car came straight to us for MOT work, wiring and to fit ally heads. With iron heads, the car had previously run into the 10.9s in the States. 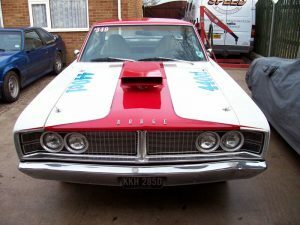 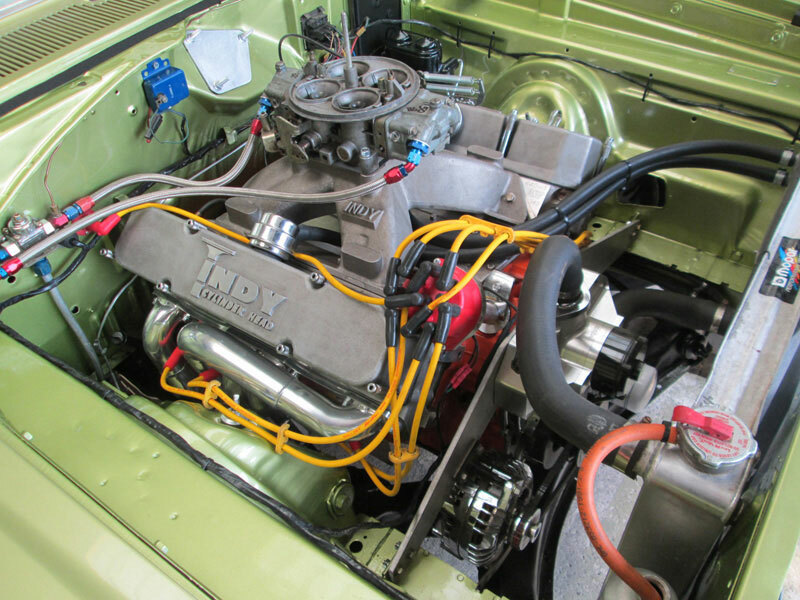 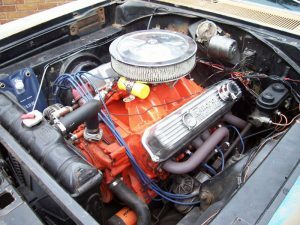 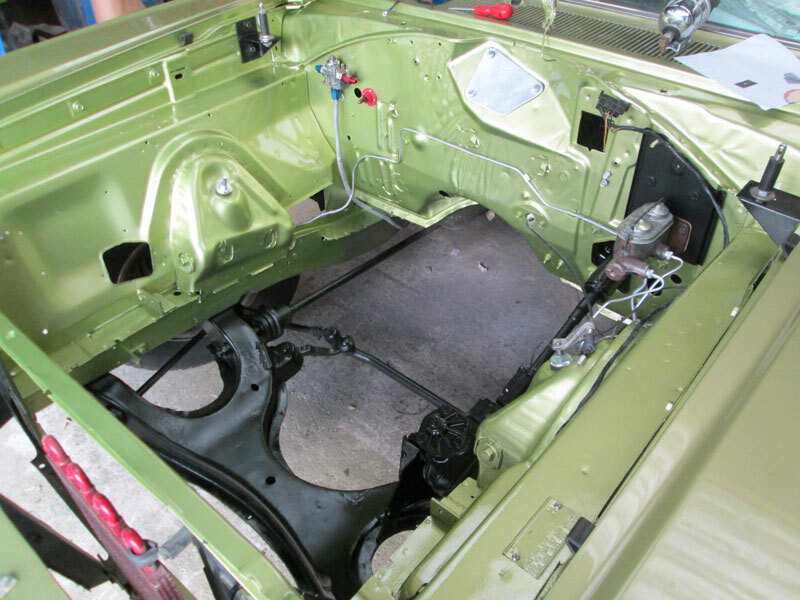 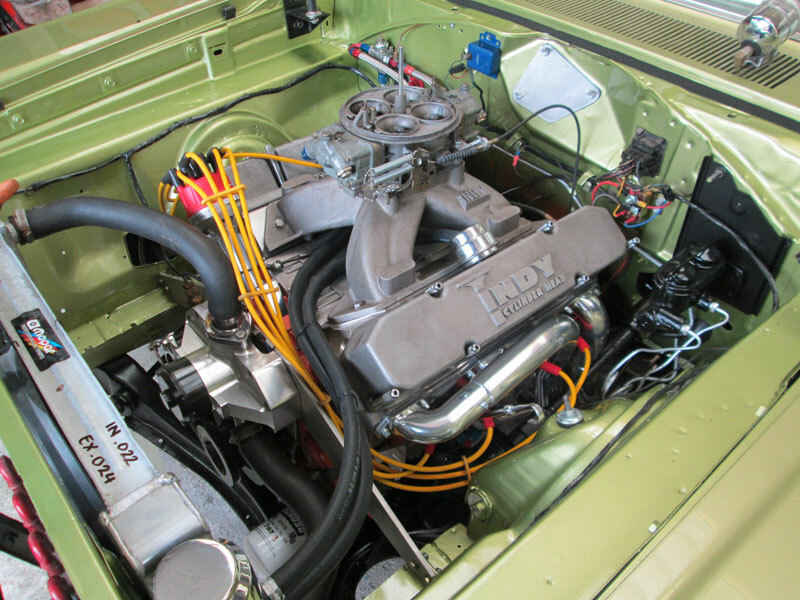 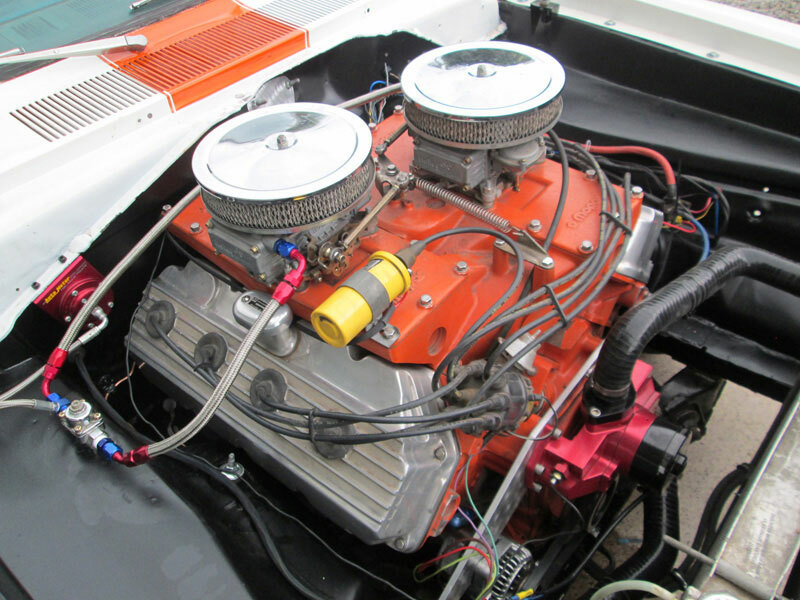 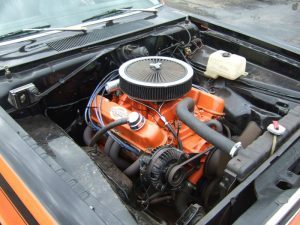 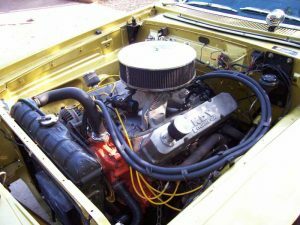 Several years later, Bri brought his Coronet in for an engine bay repaint, transmission rebuild and a 540ci engine was fitted. 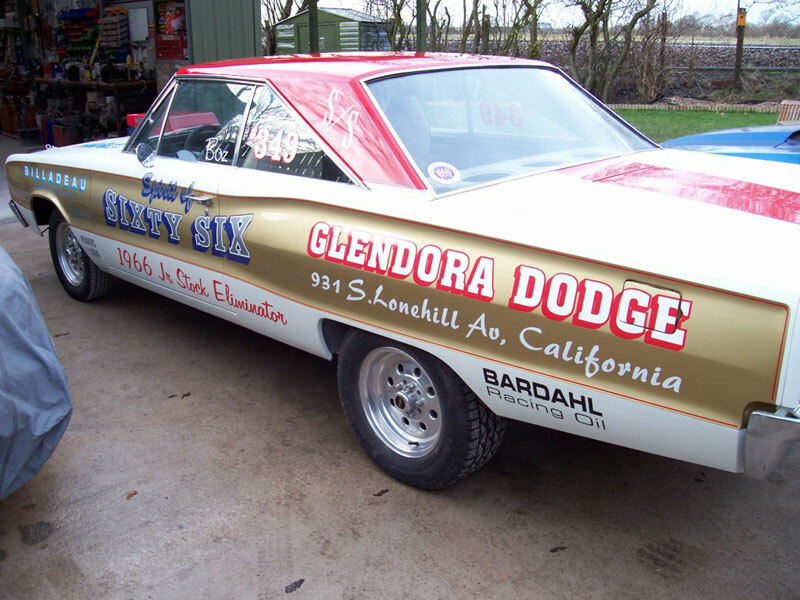 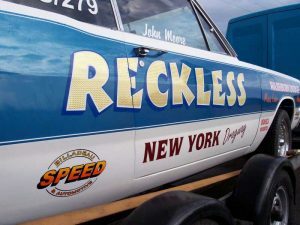 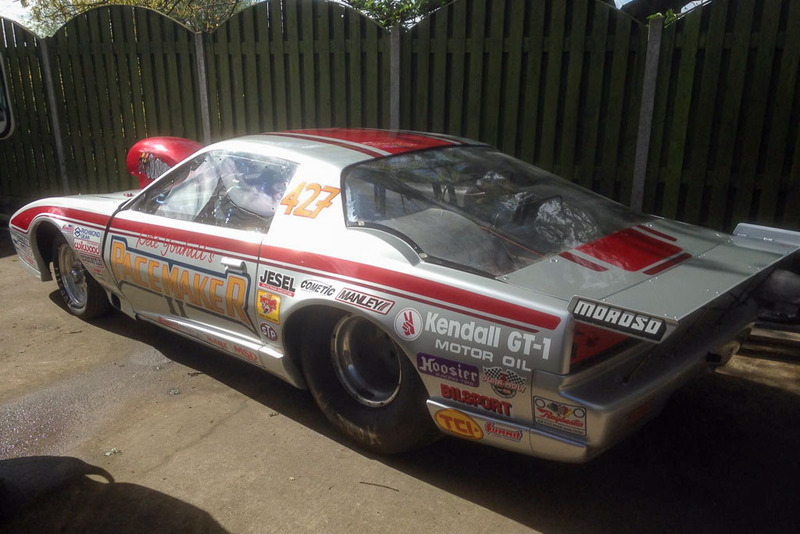 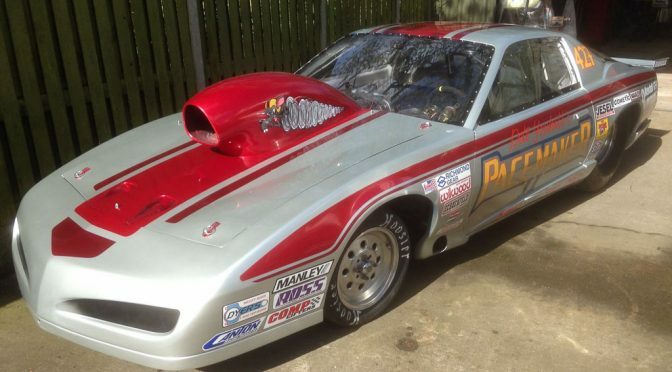 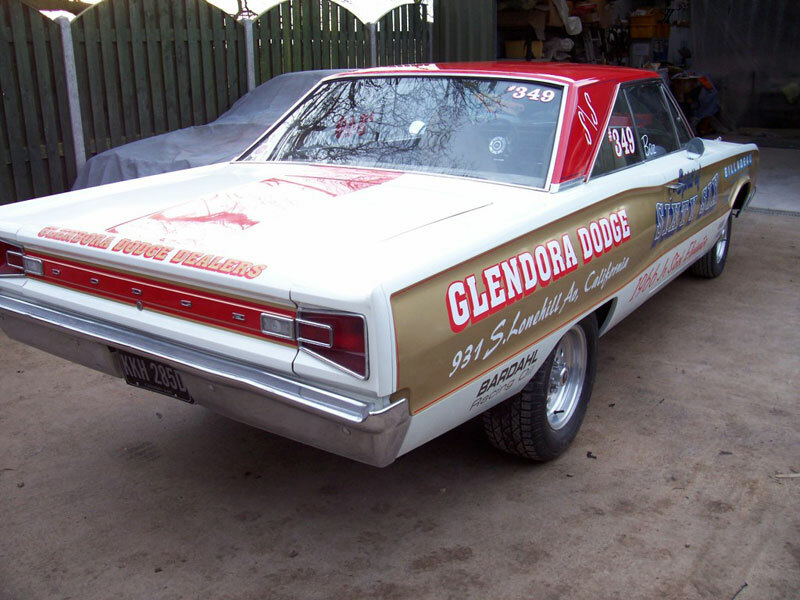 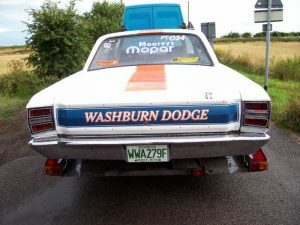 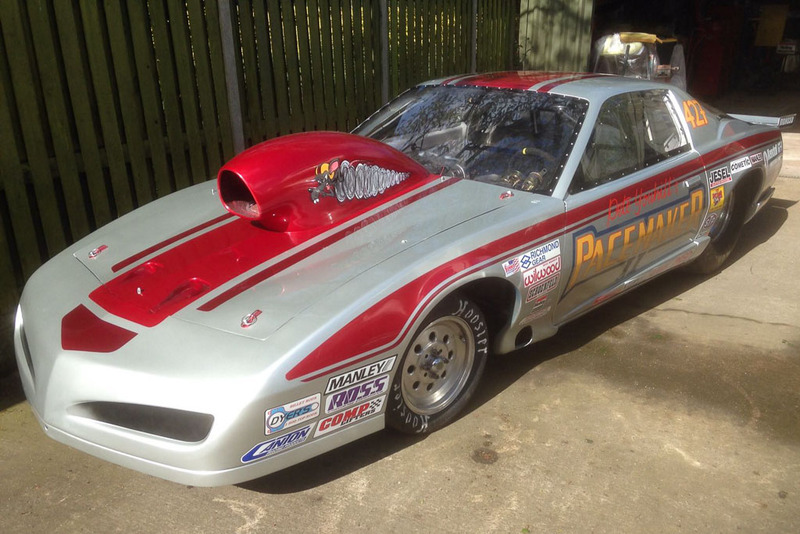 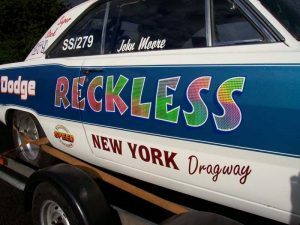 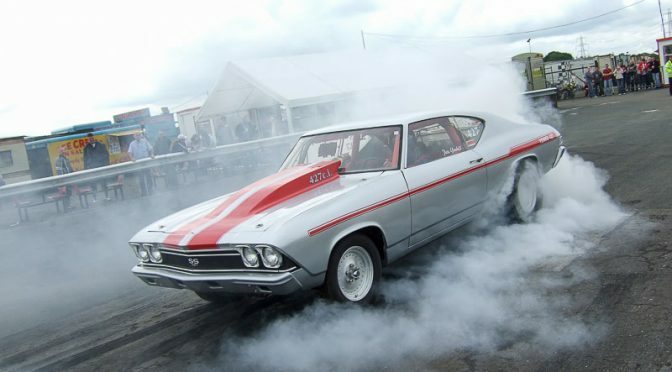 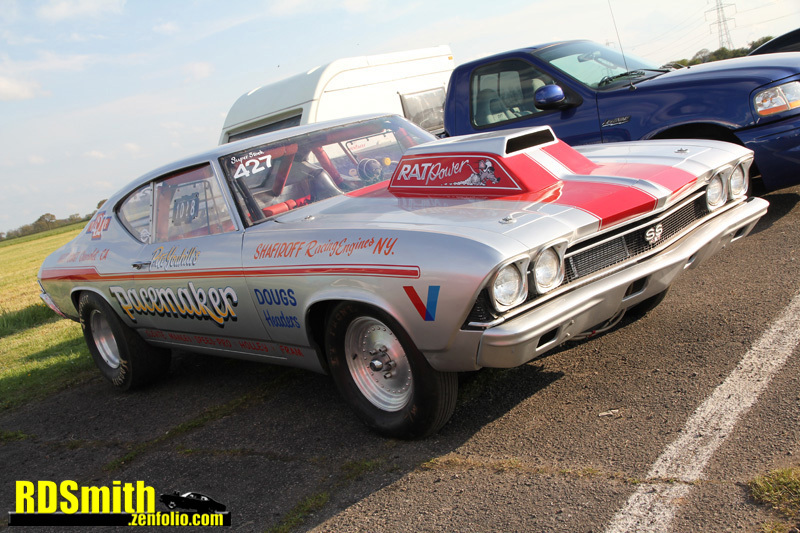 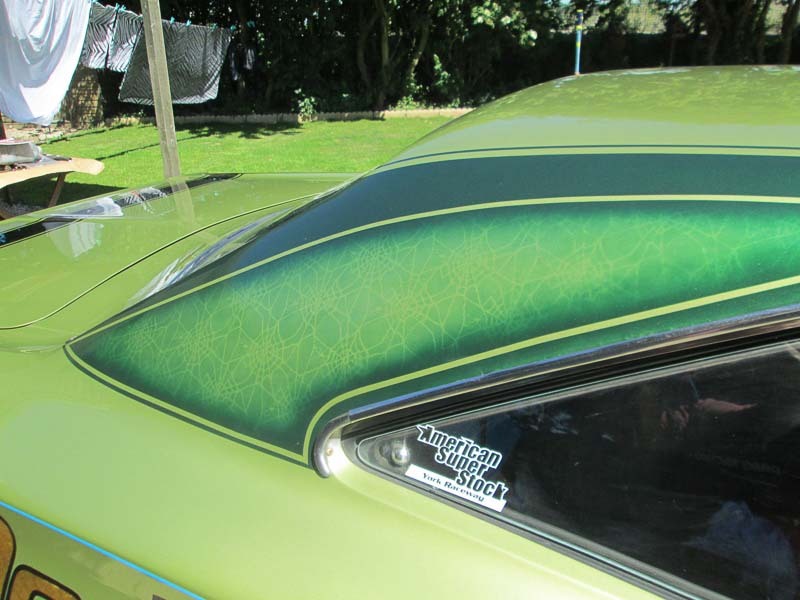 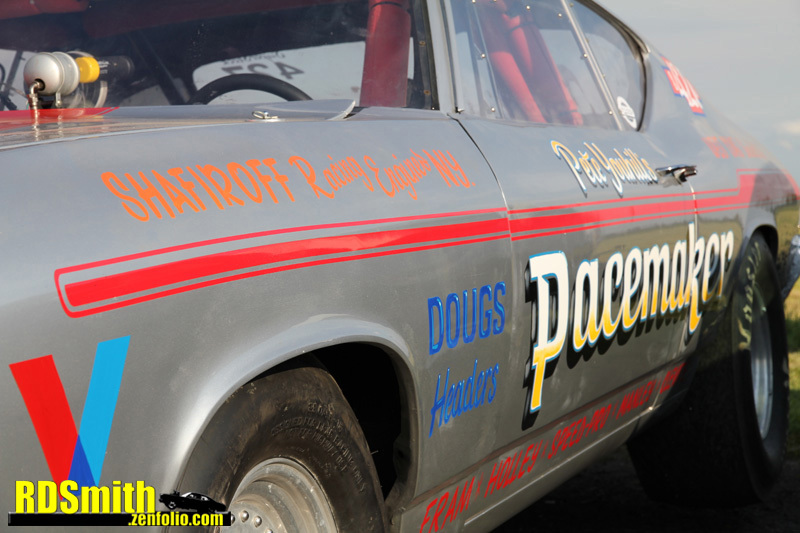 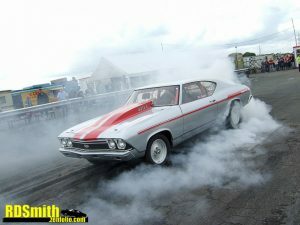 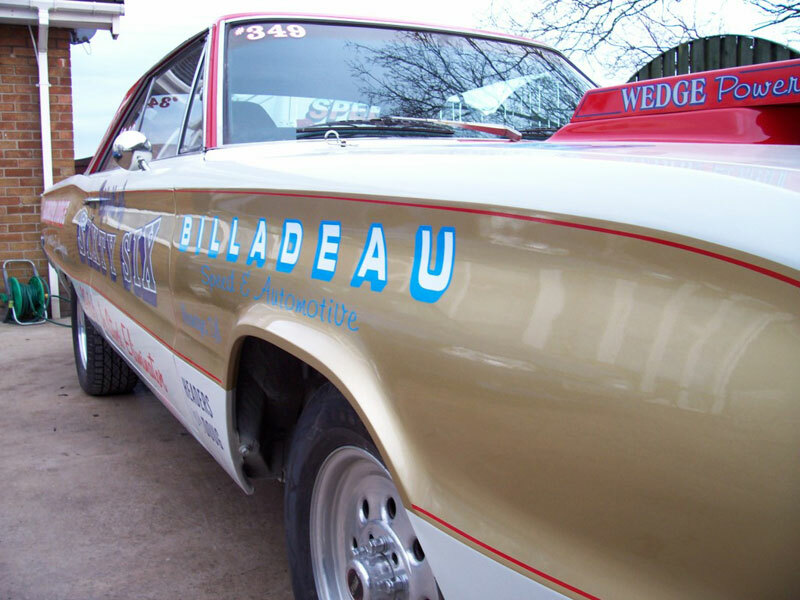 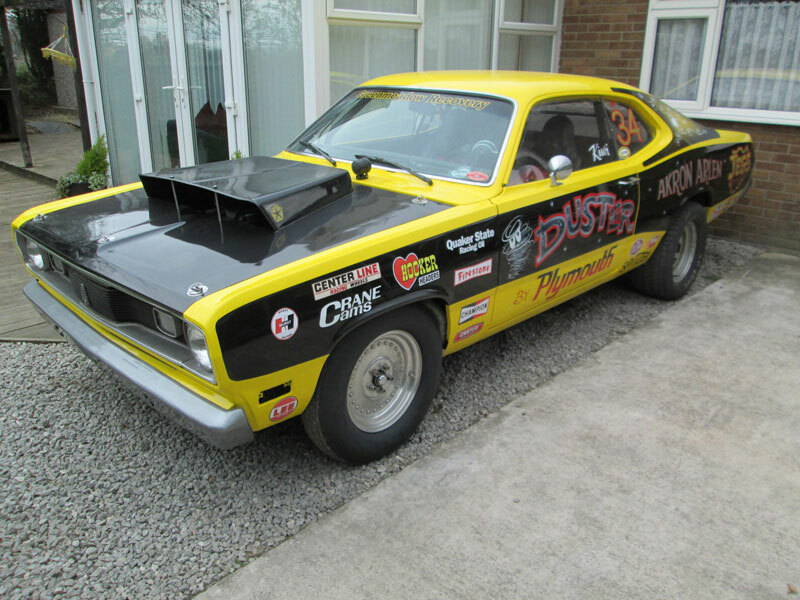 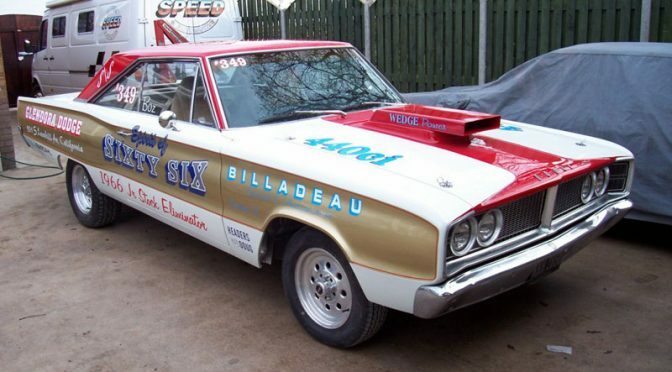 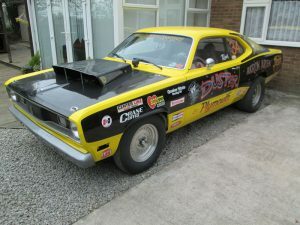 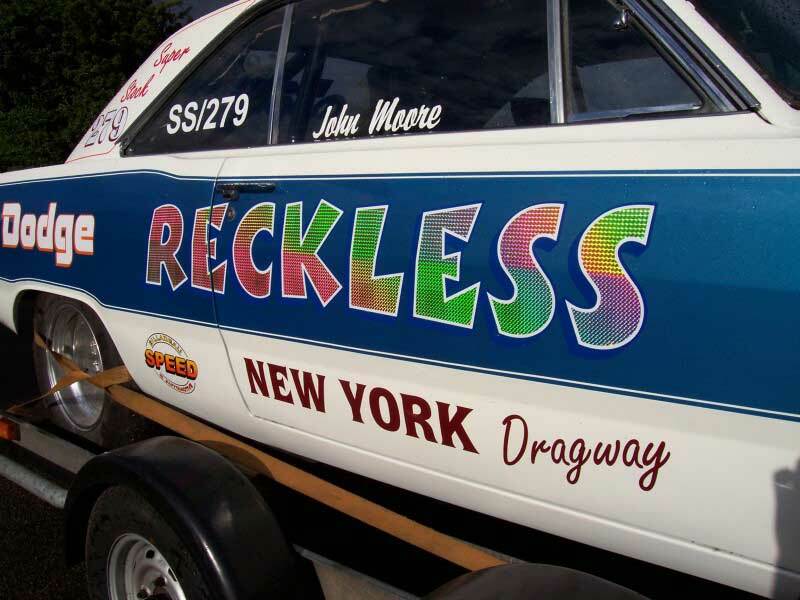 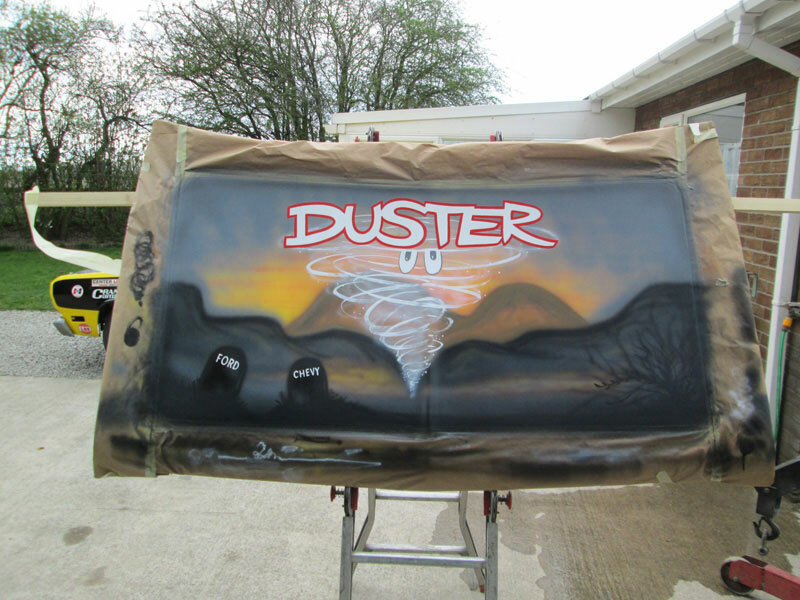 Bri freshened up the Coronet in 2015 with some signwriting completed by Craig Ainge, while we added a little airbrush work to finish off the Super Stock styling. Dan, a.k.a. 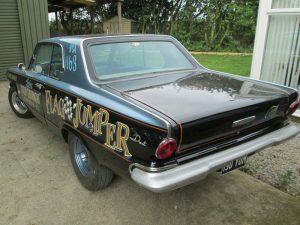 Tomby, brought his Duster to us for engine work. 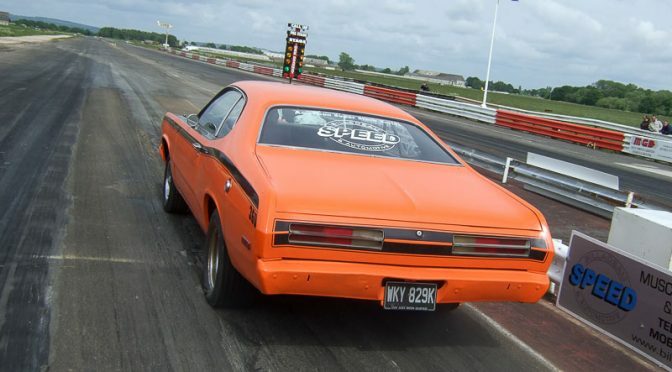 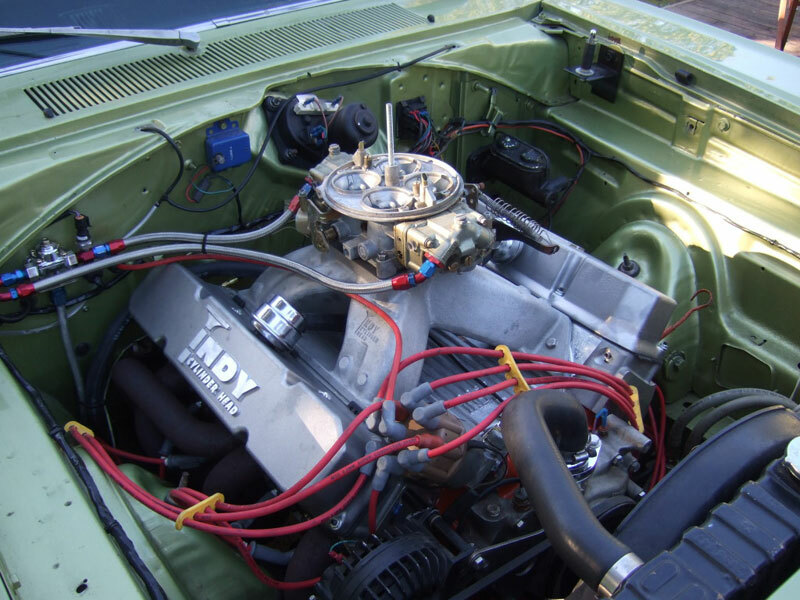 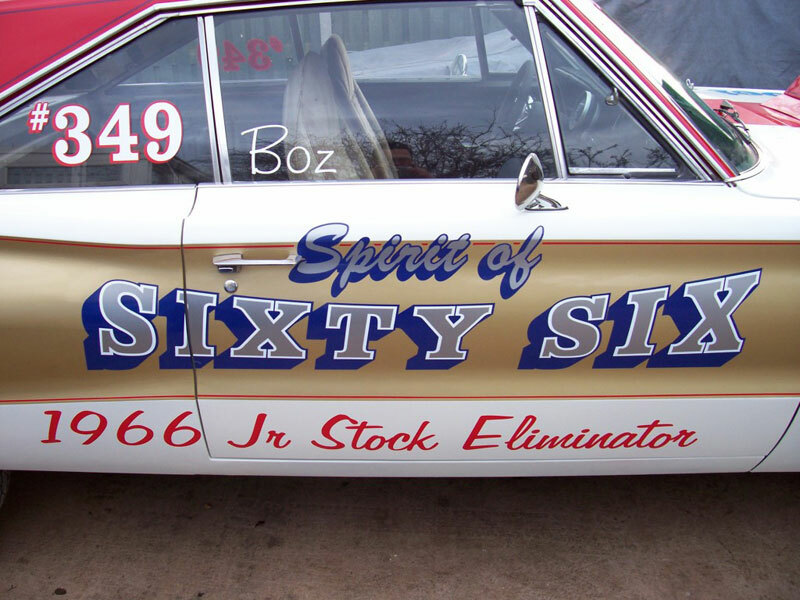 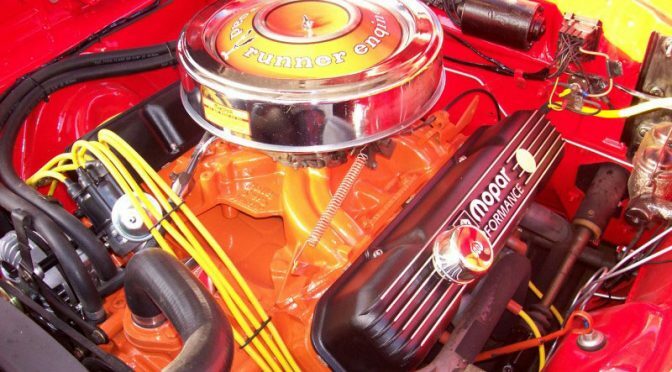 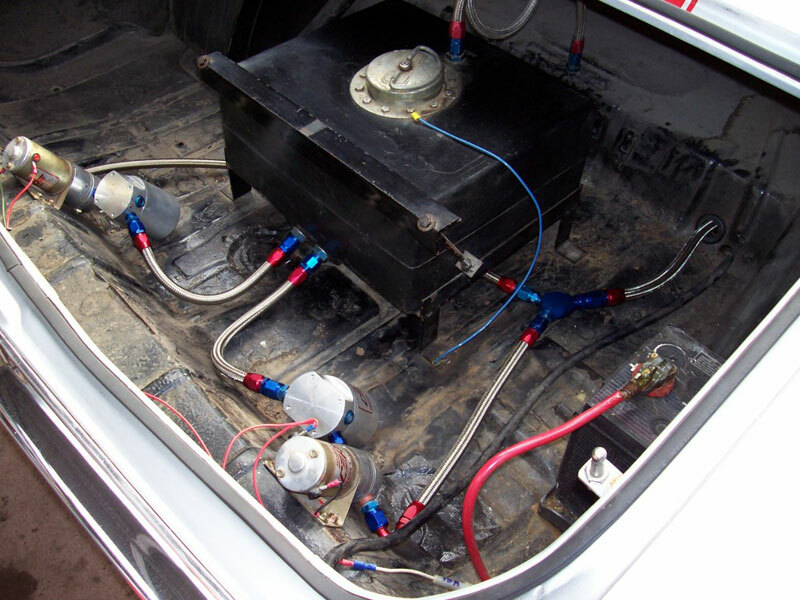 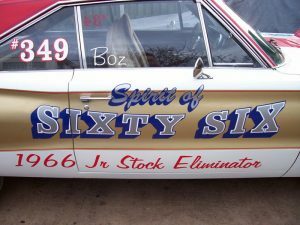 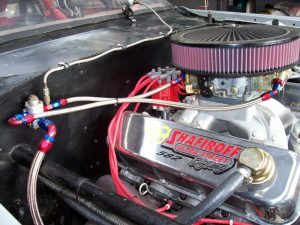 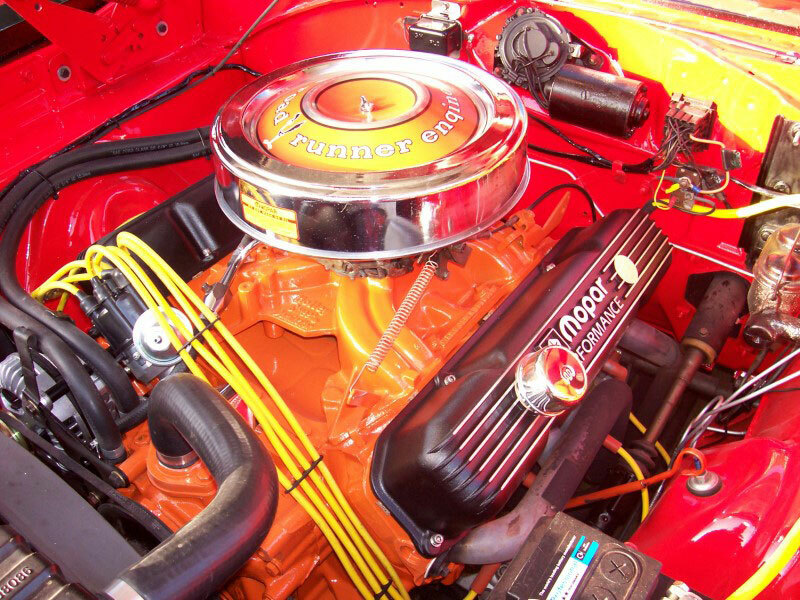 The 360 engine was fully rebuilt with forged pistons, ported heads, a hydraulic cam along with a 3″ exhaust, making the car good for 13.3 second ETs. 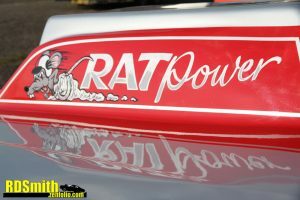 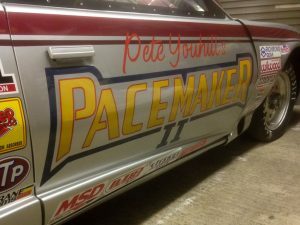 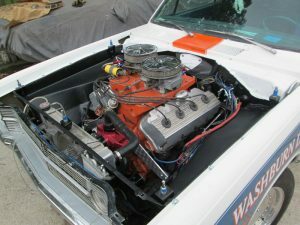 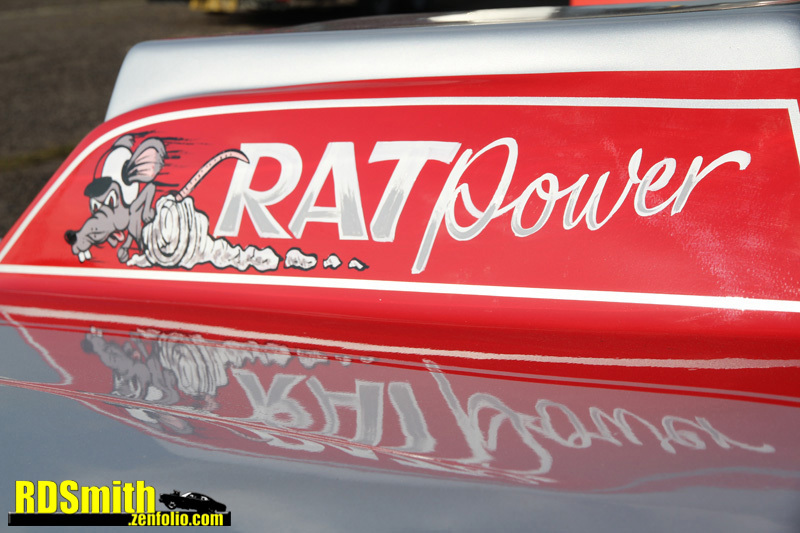 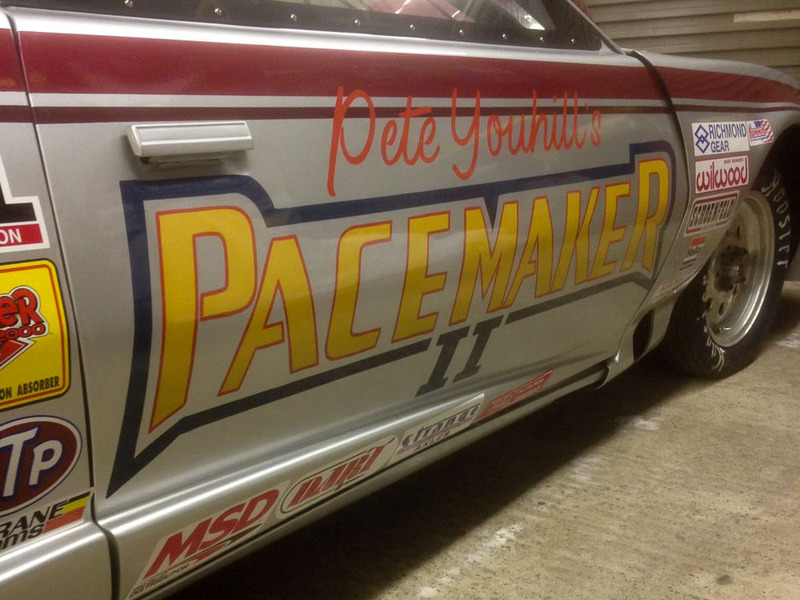 The engine bay was painted and the graphics were also created and applied.